FRU P/N: 41V9748 42X3804 42X4399 60.4T815.001. for IBM Lenovo Thinkpad X60s X61s. for IBM Lenovo Thinkpad X60 Tablet, X61 Tablet. 1 x CPU Fan with Heatsink. It can be used interchangeably. Photo is for reference only. FRU Part number: 42X3805. For IBM Thinkpad: X60s, X61s. 3 wires/ 3 pins connector. Not for other model. If you are looking for other model. FRU Part number: 42X3805. There are different version of the FRU in X60s X61s notebook. for the power connector, it is compatible with 4 pin version. It is also work for X60 X61 version. For IBM Thinkpad: X60s, X61s. Here it recommends a powerful X61 CPU fan for Lenovo / ThinkPad. Therefore, the residual heat can be dissipated as quickly as possible from the core processor and the CPU and other components may contain in their range of safe operating temperature.To avoid overheating, which can lead to malfunctions or to the destruction of components.This product has an efficient heat dissipation and low noise.Product Dimensions: Approx. 54 x 54 x 11 mm package: 1 x CPU coolerNote:Light shooting and different displays may cause the color of the item in the picture a little different from the real thing. The measurement allowed error is /-1-3cm. Brand Unbranded MPN Does not Apply UPC 4894462303474 EAN 4894462303474 EAN 4894462303474. The Lenovo ThinkPad X61 7674-A19 Cooling Heatsink and Fan 42X3805 60.4B413.001 has been graded A. This item is 100% tested, functional, and in very good condition. Fans - Cooling Fans. Robot Vacuum Parts. New in Box: IBM Lenovo 42X3805 CPU FAN For Thinkpad X60 X61. MODEL:X61 / 42X4399 / 60.4T815.001. This item has been tested to be 100% functional. Item Features: *New and high quality with reasonable price *DC 5V-315mA *3 wires connector Compatible Model: *IBM Thinkpad Lenovo X61 Compatible Part Numbers: *42X3805 *MCF-W03PAM05 *60.4B413.001 *Fit specified laptop models in the title, and this fan is three connection wires *Please check laptop models and Fan images *A perfect part to replace your old, defective CUP Cooling fan . *Each product was tested before shipping. Package Includes: *1 x CPU Fan. X61T TabletX61S. Compatible Model:for IBM Lenovo Thinkpad X60T Tablet. 1 x CPU Fan with Heatsink. Other compatible P/N: MCF-W01PAM05, 60.4B413.002. Compatible Part numbers:42X3804 42x4399 41V9748. for IBM Lenovo Thinkpad X60T tablet X61T tablet (thi is X61 X60 not compatible ). for IBM Lenovo Thinkpad X60S X61S. ew CPU Cooling Fan with Heatsink for IBM Lenovo Thinkpad for P/N 42X3804. Comaptible FRU: 42X4399 42X3804. New Fan For Lenovo ThinkPad X61 X61T X61S CPU Cooling FAN & Heatsink. Compatible with: Lenovo ThinkPad X61 Series, Lenovo Thinkpad X61T Series, Lenovo Thinkpad X61S Series. Model: MCF-W01PAM05 41V9748. IBM Thinkpad X60 X60T X60S X61S. 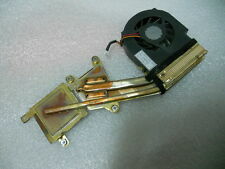 This item is for 1 pcs Cooling Fans & Heatsink. All other countries. Netherlands . Australia . FRU：42W2522 and Compatible With 42X3805. 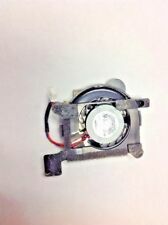 IBM Thinkpad X60 Series Cooling Fan. Thinkpad X60 1706-CC6. Thinkpad X60 Series. This item is for 1 pcs Cooling Fan Heatsink. Item Condition Original USED 100% TEST. IBM Thinkpad X60 Series Cooling Fan. Thinkpad X60 1706-CC6. Thinkpad X60 Series. This item is for 1 pcs Cooling Fan Heatsink. Netherlands . Australia . 42X3805 60.4B413.001 MCF-W03PAM05. NEW CPU Cooling Fan For LENOVO IBM THINKPAD X60 X61 X60S X61S Laptop. For LENOVO IBM THINKPAD X60 X61 X60S X61S Series Laptop. NEW US Keyboard For IBM ThinkPad E520 E520S E525 Series Laptop Black. FRU: 42X3805. For Thinkpad X60 X61. IBM Lenovo. We appreciate your understanding. Fan IBM ThinkPad Lenovo X 60 X 61 X60S X61S fan of cooler XR-IN the-X 61. 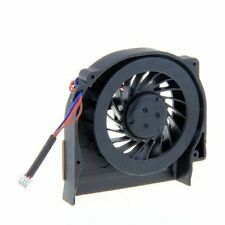 Fan IBM ThinkPad Lenovo X 60 X 61 X60S X61S fan of cooler MCF-W03PAM05 FRU 42 X 3805. Fan IBM ThinkPad Lenovo X 60 X 61 X60S X61S fan of cooler FRU 42 X 3805. FRU P/N 42X3806 42W3410. IBM Thinkpad X61 x61 X61S 42W3410 Cooling Fan 60.4B437.002 MCF-W06AM05. MCF-W06AM05 42W3410. »Thinkpad X61s Series. »Thinkpad X61 Series. 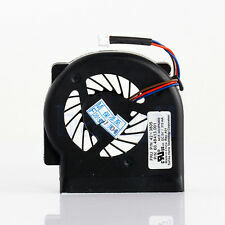 1pcs DC5V 0.2A 3Pin 3Wire Laptop CPU Cooling Fan. Compatible Models: for Lenovo Thinkpad IBM X60 X61 Series. - Product Type: CPU Cooling Fan. 1Piece Laptop CPU Cooling Fan. - Laptop cooling fan with 3-wire connector. - Cooling Fan Size: approx. - Power connector: 3 Pins. Lenovo IBM Thinkpad X60 X61 X60S X61S fan cooler fan. IBM ThinkPad Lenovo X 60 X 61 X60S X61S fan fan of cooler FRU 42 X 3805. X60 X60S X61 X61S IBM Lenovo. MCF-W03PAM05 FRU 42 X 3805. FRU p/n 42 X 3805. Compatible Models: for Lenovo Thinkpad IBM X60 X61 Series. - Product Type: CPU Cooling Fan. 1Piece Laptop CPU Cooling Fan. - Laptop cooling fan with 3-wire connector. - Cooling Fan Size: approx. Due to the difference between different monitors, the picture may not reflect the actual color of the item. IBM Thinkpad Lenovo X61. 1 x CPU Fan. Fit specified laptop models in the title, and this fan is three connection wires. A perfect part to replace your old, defective CUP Cooling fan. DC 5V-315mA. FRU：P/N 42X3805, MCF-W03PAM05, 60.4B413.001. CPU Cooling Fan for IBM Lenovo ThinkPad X60 X61 series Toshiba product. Here, we provide you with the Practical CPU Cooling Fan for IBM Lenovo X60 X61 X60s X61s to help the your computer dissipate heat, which will make computer longer life in use. FRU：P/N 42X3805, MCF-W03PAM05, 60.4B413.001. CPU Cooling Fan for IBM Lenovo ThinkPad X60 X61 series. Here, we provide you with the Practical CPU Cooling Fan for IBM Lenovo X60 X61 X60s X61s to help the your computer dissipate heat, which will make computer longer life in use. CPU Cooling Fan for IBM Lenovo ThinkPad X60 X61 series. Here, we provide you with the Practical CPU Cooling Fan for IBM Lenovo X60 X61 X60s X61s to help the your computer dissipate heat, which will make computer longer life in use. CPU Cooling Fan for IBM Lenovo ThinkPad X60 X61 series Toshiba product. Here, we provide you with the Practical CPU Cooling Fan for IBM Lenovo X60 X61 X60s X61s to help the your computer dissipate heat, which will make computer longer life in use. For IBM Thinkpad Lenovo X60 X61. 1 x CPU Fan. Orders will be processed instantly and dispatched in 24 hours normally, so we do NOT accept any requested note before or after you place orders. The pictures are for reference only. FRU P/N 42X4399. ---for Lenovo IBM Thinkpad X60S X61S X60 Series. --- CPU Fan with Heatsink. It can be used interchangeably. Photo is for reference only. Hope you understand. --- Original and high quality. This piece has been fully tested and it is 100% functional. It was carefully removed from a pre-owned laptop. This includes stating the item sold at a lower value, that the item is not usable, or is a gift. Phone Refurbished. Cell Phone. Give us a chance to make things right for you, and we will do our best to assist you solve any issue. Software's. Make sure the model is the right one you need. Baby products. Comaptible FRU: 42X4399 42X3804. ThinkPad X61 Tablet 7762 ThinkPad X61 Tablet 7763 ThinkPad X61 Tablet 7764. ThinkPad X61T Series ThinkPad X61 Tablet 6363 ThinkPad X61 Tablet 6364. ThinkPad X61 Tablet 7767 ThinkPad X61 Tablet 7769 ThinkPad X61S Series. This product has an efficient heat dissipation and low noise. Here it recommends a powerful X61 CPU fan for Lenovo / ThPad. Therefore, the residual heat can be dissipated as quickly as possible from the core processor and the CPU and other components may contain in their range of safe operating temperature.To avoid overheating, which can lead to malfunctions or to the destruction of components.This product has an efficient heat dissipation and low noise.Product Dimensions: Approx. 54 x 54 x 11 mm package: 1 x CPU coolerNote:Light shooting and different displays may cause the color of the item in the picture a little different from the real thing. The measurement allowed error is /-1-3cm. Brand Unbranded MPN Does not apply UPC 4894462303474 EAN 4894462303474 ISBN 4894462303474 Designer/Brand.